Francois, me and Lars on a Sunday afternoon in the Retiro. 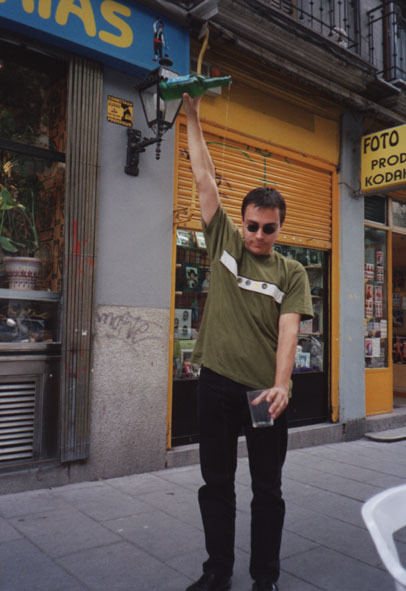 Tomasito on the terace of a Sidrería pouring professinally the sidra into a glass. Aaaaah, the sidra finally reaches its destination. 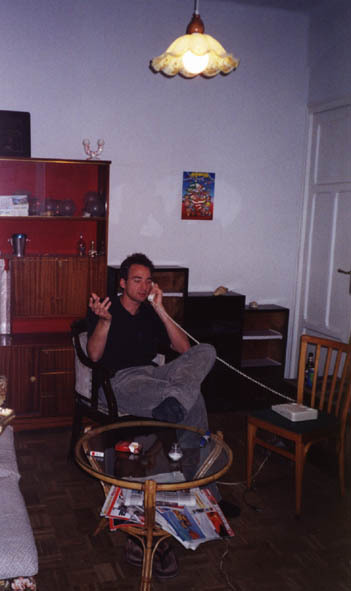 Lars, one of my flatmates, phoning home to his girlfriend. 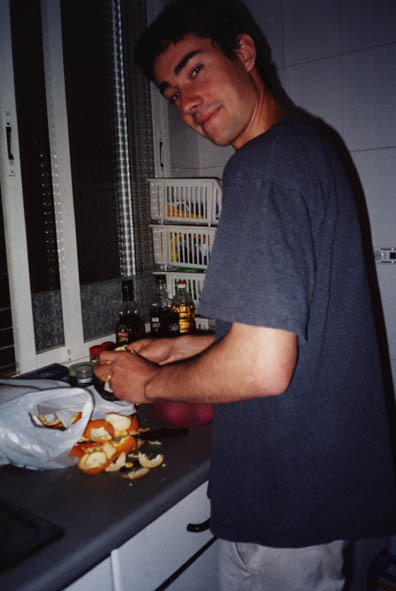 Francois, another flatmate, at his preferred business: peeling oranges for my Sangría. But he's a professional! Nobody does it better! 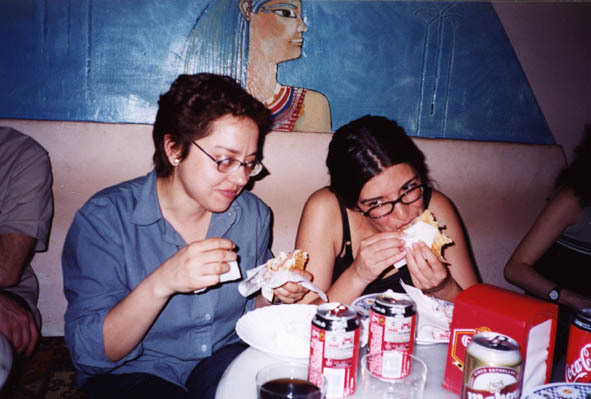 Celia and Esther are excitingly enjoying the size of a Döner Kebab. Laura walking on the rainbow - hahahaha! It's the week of the "Orgullo Gay" - the "Proud of the Gay". 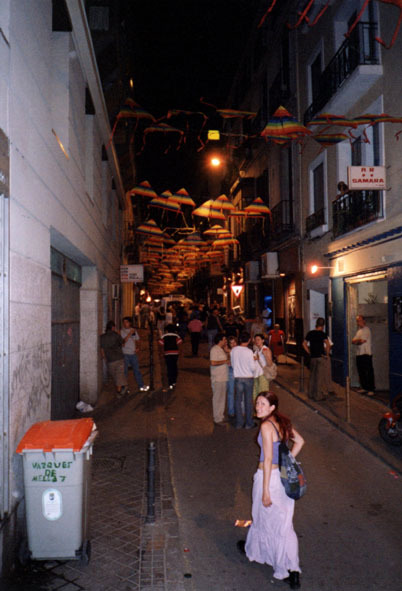 A street in Chueca, the gay area of Madrid. 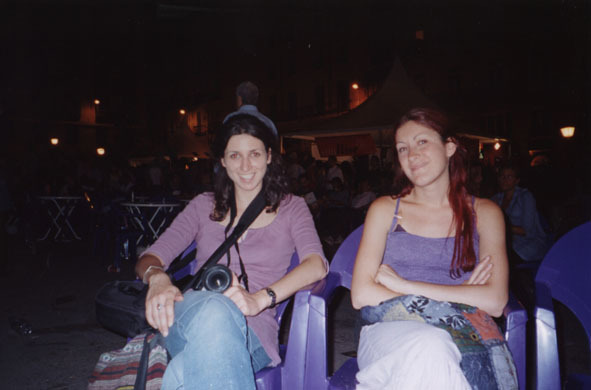 Irene and Laura, two Italian Erasmus students, watching the Gay spectacle. 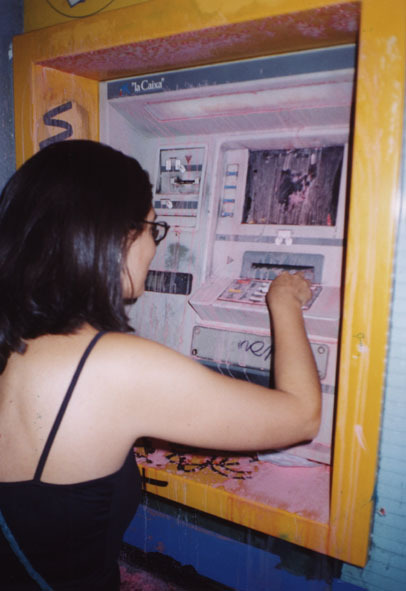 Esther using a cash machine in the Calle Fuencaral. 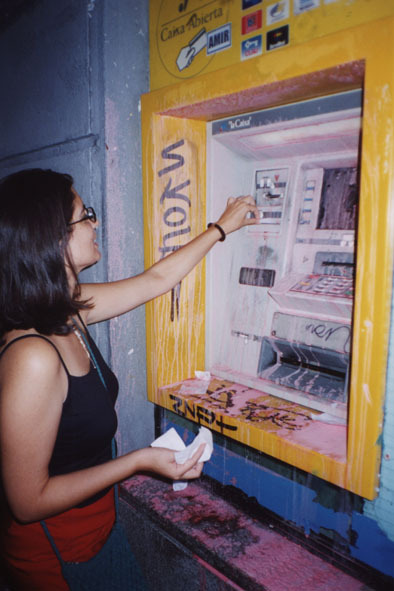 As you can see (by the colour), the cash machine is close to the gay district. One week later when I passed again the ATM it was clean again. 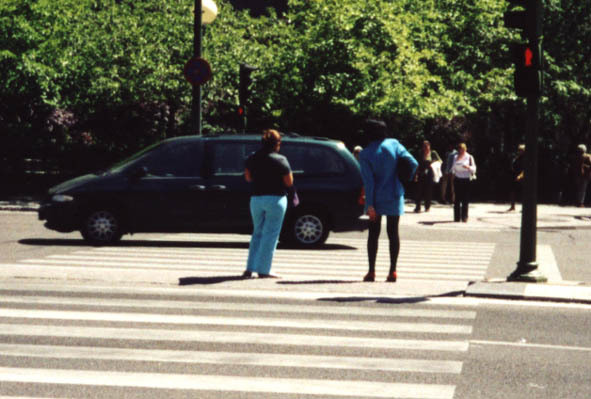 The one is wearing the trousers of the other one, apparently. Or the other one is wearing the jacket of the first one.